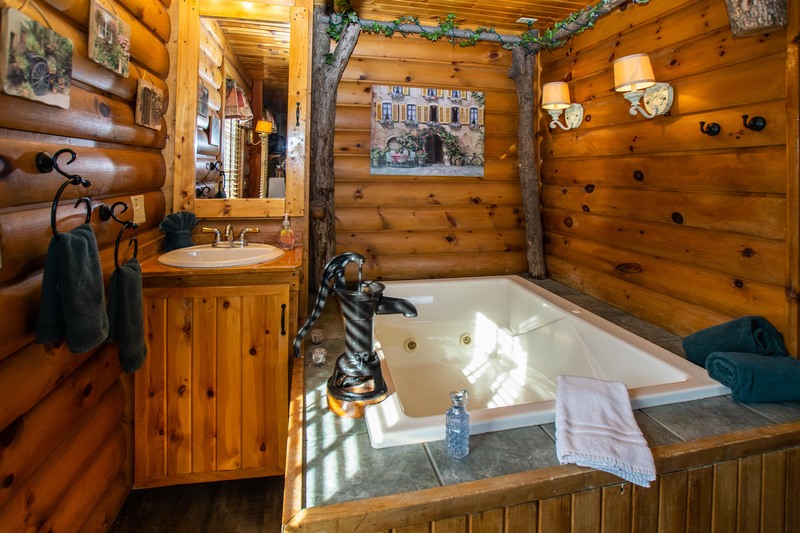 Whether it’s for a honeymoon or just a getaway, Lake Geneva Wisconsin features one such romantic getaway solely for couples–the Lazy Cloud!! 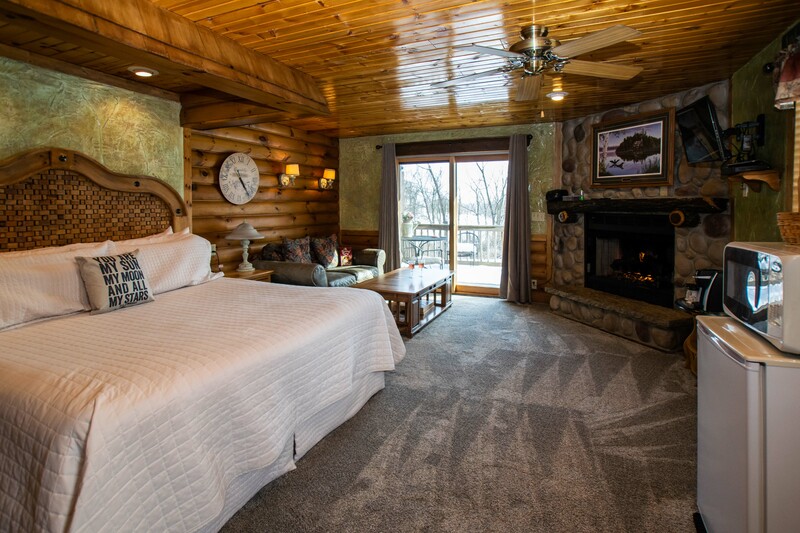 Our romantic hotel in Lake Geneva features double whirlpools, fireplaces and a host of complimentary amenities that will make your Lake Geneva getaway one to remember! Come enjoy complimentary wine or champagne, raspberry meltaway chocolates, hand dipped chocolate covered strawberries and so much more! Of all the Lake Geneva tourism hotels, this romantic hotel exceeds all expectations! 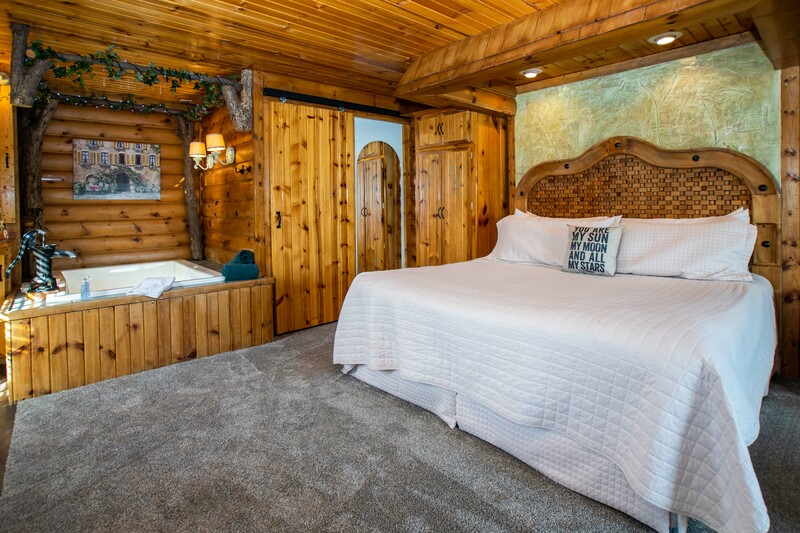 The comfortable king sized bed is adorned with a canopy creating a romantic ambiance. A handmade headboard, discovered in Mexico on a shopping adventure, consists of one inch pieces of wood that make an intriguing basket weave design! 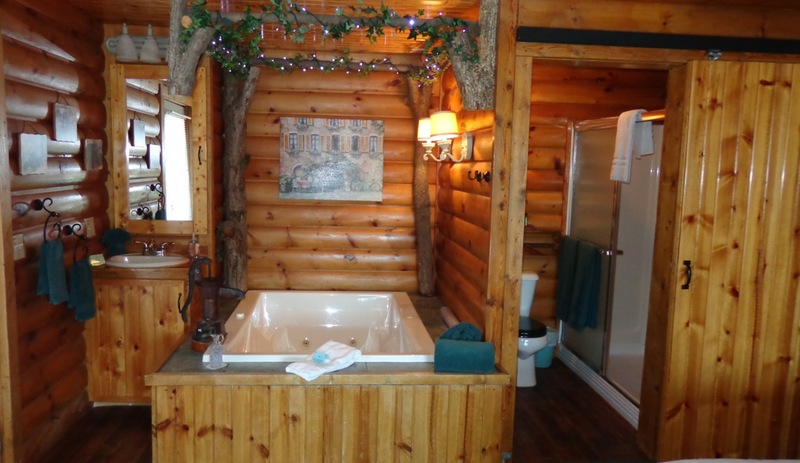 The double whirlpool is surrounded by beautiful pine log walls. 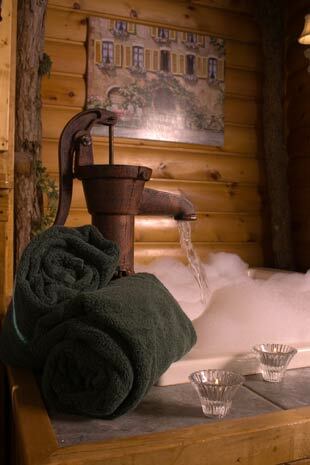 The water spout, made from a cast iron well pump, brings an outdoor experience to your suite! 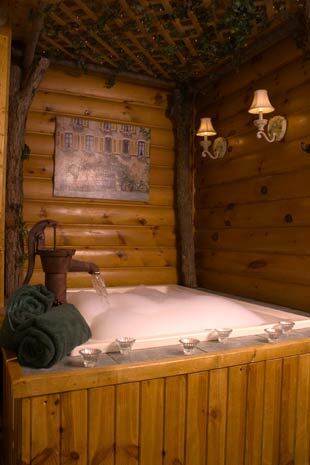 While relaxing in the whirlpool, you will have a wonderful view of a romantic fire in the fieldstone fireplace. 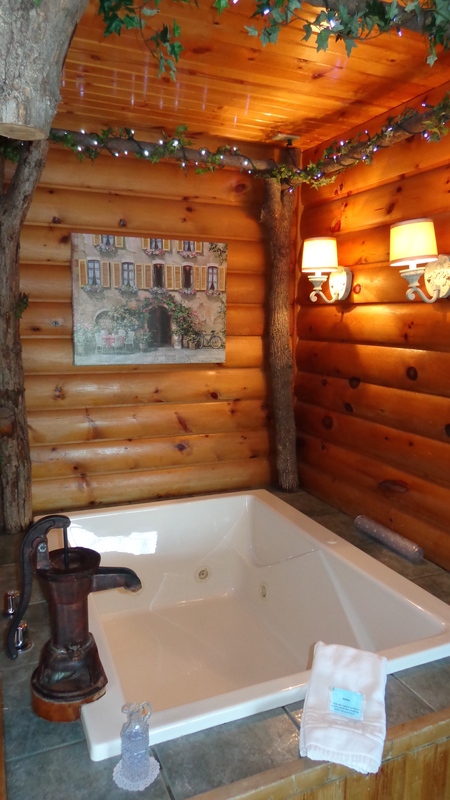 The gorgeous fieldstone fireplace has a rugged mantel made from a downed tree from our own woods. Sliding glass doors which lead out to your large private deck. 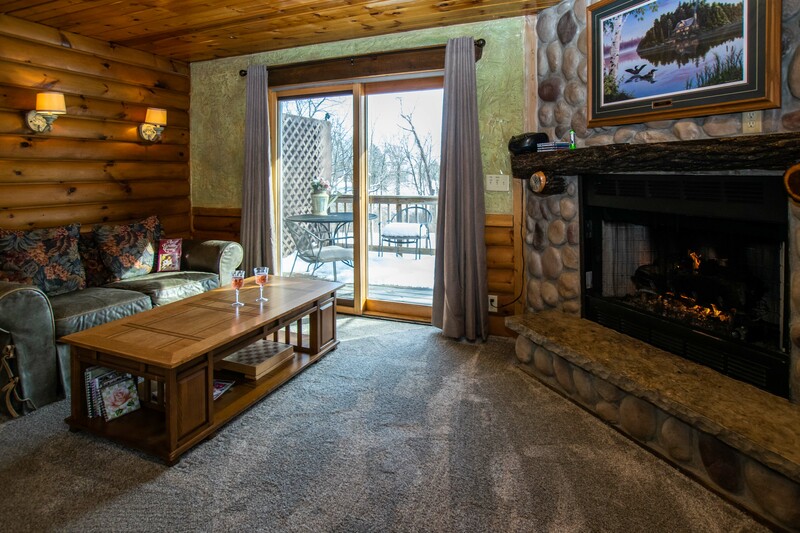 What a great place to enjoy the outdoors with a breathtaking view of the woods! 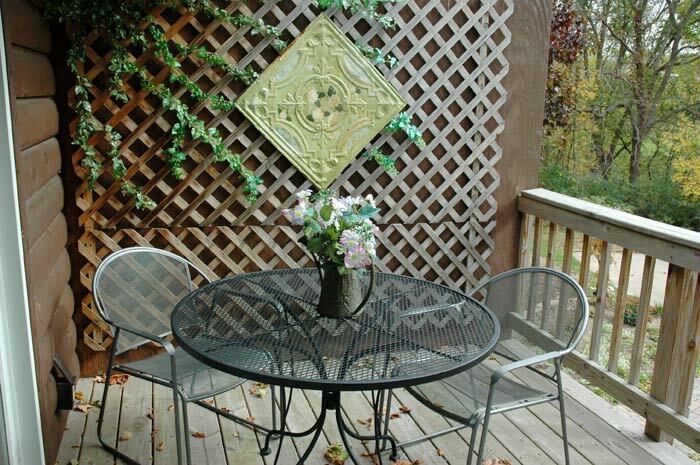 Check to see what we are serving for our continental breakfast and what other amenities are provided. Also please review our deposit, cancellation, refund and other policies. 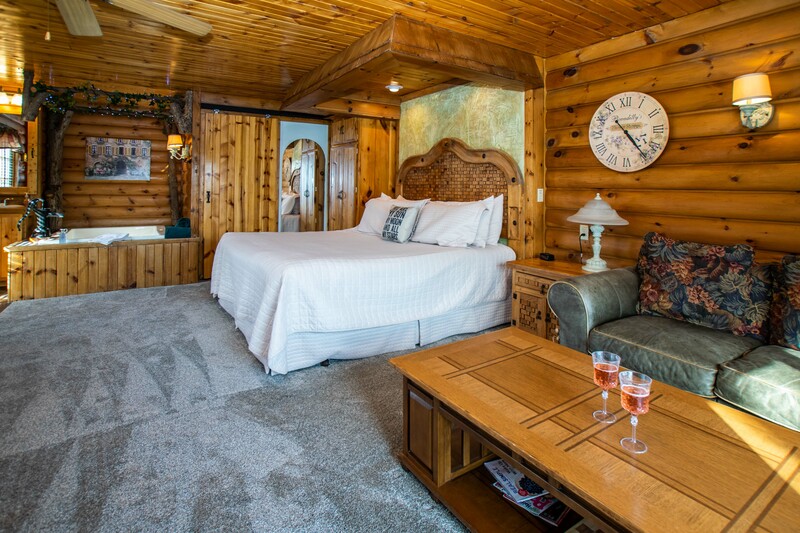 Lake Geneva tourism and romantic hotels go “hand in hand” with the one you love at the Lazy Cloud Inn and Lazy Cloud Bed & Breakfast!